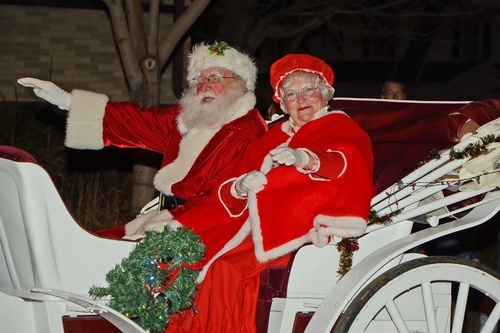 Join us for the 23rd anniversary of Fort Atkinson's downtown Lighted Holiday Parade featuring music, dancing and a visit from Santa and Mrs. Claus. In the spirit of giving, we encourage parade attendees to bring a can of non-perishable food to the parade to support St. Paul's Lutheran School with their annual food drive for the Fort Atkinson Food Pantry. Immediately following the parade, stop by the Municipal Building for the 19th Annual United Way Chili Cook-Off where you can vote for your favorite chili and have your photo taken with Santa. Show your community spirit on Saturday, November 10 at the Fort Atkinson Holiday Parade to kick off the holiday season! Float Enteries are now full. Thank you! Downtown Fort Atkinson, starting at Milwaukee Avenue and ending on Madison Avenue at Robert Street.